Organize Notes and well, everything else if you really want to. 9/10 - "At first glance, Boximize may seem to be just another note and list maker, but this database system is capable of helping you organize just about anything, I do mean anything. 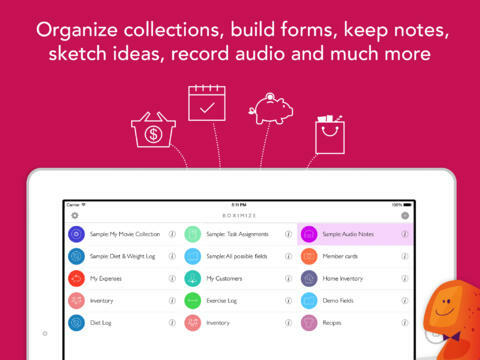 If you are looking for a mobile solution to organizing your notes, lists, collections, projects, or daily activities, this app delivers." Digitized notes have become predominant over pen and paper pads, but plain text editors have been around for decades, and many of us still very much rely on carrying physical notes with us. 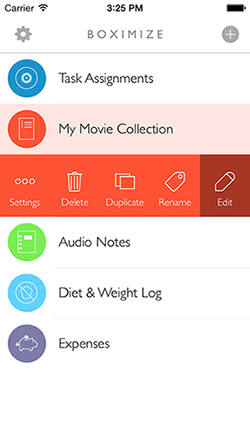 The accessibility and convenience of software is not always the answer, but if you’re looking for more than just digital notes, Boximize is a mobile iOS app (official site here) brings layers of functionality and depth, turning your notes into a universally organized, classified, and searchable database. Although complex, the built-in templates and features are designed to help you quickly create lists with various categories to better separate notes under the same topic. Editing and customizing each category is easily done, providing you the ability to tailor fit the app to your specific needs. To some extent, I resist the idea of using an app or anything other than standard plain text files for my important notes. I can always count on being able to open a text file on various devices, and backups are easily done to one of my flash drives. However, simple text files don’t provide any functionality. In terms of organizing, scheduling, planning and customizing your lists, notes, events and projects, Boximize is arguably the most complete solution available. You can create new lists and customize fields to your needs, or use some of almost 30 pre-made templates to help you organize and save your important notes, lists and schedules all under one simple interface. From customer lists to scheduled car repairs, you can turn to Boximize to organize all types of information. It may seem like work to initially learn the system and create your initial collections, but a Demo quickly shows you how to use the system and it really is simple. Designed to require the least amount of tapping possible, the interface has a (+) symbol on the top right to quickly add data to a new collection. A list of structured note categories appear, allowing you to quickly enter various types of info under a single collection. Each note type also provides unique features and options. Content such as pictures, videos, or voice notes can also be recorded and added. 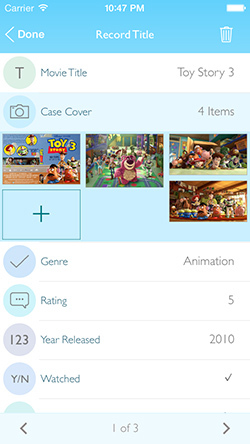 From check box lists to rating lists of movies, the different tags are extensive enough to meet needs beyond note taking. You can enter collection lists such as movies and individually rate them, or do the same for restaurants to remember which ones you like best. You can track exercise and diet for weight loss, fix a budget and track expenses, or manage a project from A to Z with assigned jobs to different employees. Functionality does not lack and you’ll most likely continuously discover new ways to use it. Anyone with an obsession with organizing and classifying may also like what Boximize has to offer. Not everyone needs extensive options when it comes to notes and reminders, but the end result of having a database and advanced functionality becomes a considerable time saver for some. I found the app to be capable of unifying many different categories of data that often need to be consulted simultaneously. For example, by searching a scheduled event with friends or customers, I can also pull up any related notes or contact information I may need. But it can also serve as my universal database for home to-do lists and cooking recipes. Thanks to advanced editable fields, one collection can contain all the information I need without having to consult a secondary source. It can do much more than just keep and organize notes. Support all Sort of Notes: Unlike other similar applications, this one is tailored to suit all your notes organization needs and preference. By download it, you will be able to save audio notes, business cards, contacts of your customers, and the list continues. Instruction Demo: To ensure that you deliver maximum utility from the app, the developers have created a comprehensive yet simple demo packed with all the information you need to operate the app. Templates: It comes with 27 pre-made templates that you can use to customize the app to suit your needs. You can use the blank template to create a form. Rest assured that you will find a template that suits your needs on this app. Password Protection: To ensure that your privacy is not compromised, you can secure the app with a password. It’s not possible to synchronize or export data. This means that if the app stops existing or you lose/damage your phone, your chances of recovering the notes are slim. Boximize is a simple to use and layered with database functions. The options are endless, providing you with custom ways to manage more than just notes conveniently on your mobile device. Although rich in features, the more simple user can still benefit from creating light collections of lists and notes. 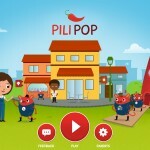 The ability to quickly search and recall anything remains a very attractive selling point for a low cost app. However, backups remain a considerable concern, and the ability to export into standard formats is something I would like to see in the future in order to guarantee the long-term ability to access old notes. Feature wise, there’s really not much you can’t do with it. It can unify your calendar, contact list, project lists, shopping lists, appointment and events all into one single place. Although many other options exist for database apps, this one does a good job of bringing a simple interface to the masses at very low cost. Boximize: Structured note taking, personal database, form builder and organizer! Great app with a lot of potential, BUT…. IT HAS NOT BEEN UPDATED SINCE OCTOBER 7, 2015 AND IT DOESN’T ALLOW BACKUPS TO BE RESTORED. A simple upgrade and the price should double and it is as steal anyway.